On May 2, during a private ceremony at Buckingham Palace, the Duke of Edinburgh presented McGill philosophy professor emeritus Charles Taylor with the 2007 Templeton Prize for Progress Toward Research or Discoveries About Spiritual Realities. The prize is worth £800,000 (approximately $1.7 million, making it the world’s largest annual monetary award for an individual. 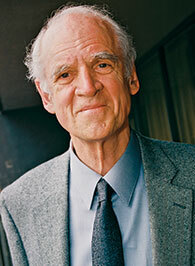 The award recognizes Taylor’s longstanding investigations into the secular and spiritual dimensions of problems such as violence and bigotry. He is the first Canadian to receive the Templeton Prize.